20 length. Power SATA HDD using a power supply that may not have a SATA power connector. 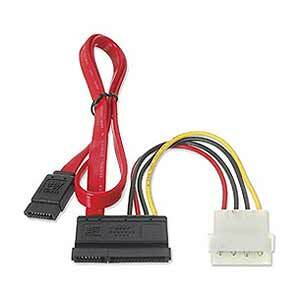 The SATA Combo Power Cable combines a SATA data cable and a 4-pin Molex power cable into a single connector that plugs into your SATA hard drives data and power ports.